It's understandable if you missed the best sports story of 2017. It’s understandable if you missed the best sports story of 2017. You probably got caught up with Carmelo and Paul George relocating to OKC, or Kyrie Irving and Gordon Hayward going to Boston, or perhaps Chris Paul joining James Harden in Houston. There was the UCONN Women’s hoops team’s remarkable streak of 111 consecutive wins coming to an end against Mississippi State in the Final Four, Serena winning the Australian Open while pregnant, the Patriots rallying from a 28-3 deficit to beat the Atlanta Falcons, 34-28, in overtime in the Super Bowl and the spectacle of Floyd Mayweather taking on Conor McGregor in the boxing ring. And then, of course, was the FBI’s college basketball sting, the Houston Astros winning the World Series in the wake of Hurricane Harvey, along with the NFL’s continuing saga of Donald Trump, team owners and fans angrily rejecting the league’s players right to peacefully protest societal inequities. But none of these stories came close to what happened at The Basketball Tournament (TBT) in 2017, where a group of young men touched millions of lives through hoops, an unlikely, improbable and incredible run, and their compassion, love and concern for a fallen brother. Team Challenge ALS didn’t win last year’s $2 million prize that is awarded to the event’s winner, but they might have just accomplished something even bigger in the process. With the 2018 TBT Super 16 set to tip off in Atlanta on Thursday, July 26th, they’re back in the mix for this year’s championship, trying to finish off what they started last year. On Saturday, they face off against The Sons of Westwood, a team comprised mostly of UCLA alums that includes Matt Barnes, Bryce Alford and Malcolm Lee, among others, with an eye toward advancing to the quarterfinals. If they continue to win, and with TBT’s profile emerging due to its elite talent level and mushrooming exposure on ESPN, you’ll be hearing more about them in the days to come. But just remember where you heard their story first. Last summer, Team Challenge ALS welcomed me into their inner sanctum, and below is the story of their journey, which was published last August. 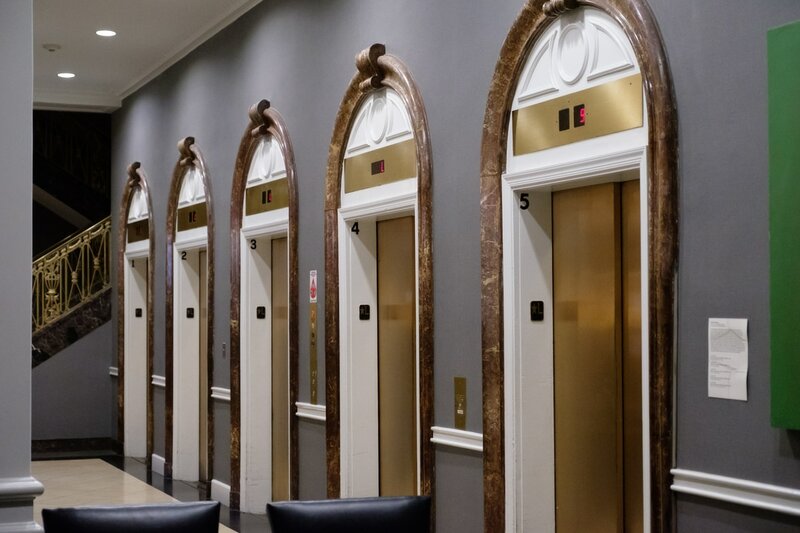 Its 6:40 PM on Monday, July 31st, and the two-story lobby of the Lord Baltimore hotel in the heart of downtown Charm City is buzzing with the scattered chatter of people milling about. The spacious room possesses a venerable aesthetic that hearkens back to days long gone. With its grandeur and brass accents, stately columns and 1920s era furnishings, it’s eerily palpable that part of a bygone era still lives within these walls. The building once played host to the visiting rich and famous, or elegant foreign dignitaries, or perhaps a nattily attired bootlegger or two like Al Capone, or possibly all of them all at once. The Waterford crystal chandelier in the Calvert Ballroom tells stories of an antiquated time, and its incongruous with the tuxedo’d, Vegas-like lounge singer tickling the keys and singing tunes at the lobbys piano, which you have to pass on your way to either the L-shaped bar or the bank of elevators that rise into the Baltimore sky toward the hotels 439 guest rooms and suites. Standing out and above the regular crowd of tourists, businessmen and tennis enthusiasts in town for a tournament is a small group of tall black men, all professional basketball players, that are members of Team Challenge ALS, the majority of whom are wearing long black shorts, ankle length socks and Nike sandal slides of various colors. Miraculously advancing to The Basketball Tournaments (TBT) semifinal round, where the ultimate champion walks away with a $2 million cash prize, theyve assembled by the main entrance to wait for the team bus that will transport them to Coppin State Universitys Physical Education Complex for their evening practice. At the start of the tournament, they weren’t considered one of the top 20 teams competing. But they’ve proved the seeding to be irrelevant as they’ve steamrolled their way into ESPN’s national television glare. Challenge ALS grabbed the final spot in the Super Sixteen with the 87-73 win over The Stickmen. Casper Ware led the way with 22 points on 4-of-8 shooting from 3-point range. Ike Diogu matched Ware’s 22 points in a losing effort. Coached by NBA point guard Darren Collison, the majority of the players hail from Los Angeles and Southern Californias Inland Empire region. But the genesis of this team – playing to raise awareness for people and families suffering under the physical and emotional burden of amyotrophic lateral sclerosis, more popularly known as Lou Gherigs disease – took root on the bucolic Chestnut Hill, Massachusetts campus of Boston College in 2003. Back then, Sean Marshall was a 6-foot-6 freshman shooting guard/small forward from California who was beginning his college career alongside a fellow highly sought-after freshman basketball recruit, 6-foot point guard and Boston native Steve Hailey. The two were inseparable that summer and during the fall semester before official practices started, doing pushups and situps late into the evening together, waking up early to bang out some iron in the weight room on their own at 6:00 AM before classes, and then hitting the gym to workout and play pickup games in the afternoons and evenings. During his first year at BC, Marshall felt the sting of being away from his home and family for the first time when the first snowfalls, something hed never seen before, touched down. Having a teammate and friend in Hailey helped his transition, along with others from the schools athletic community. 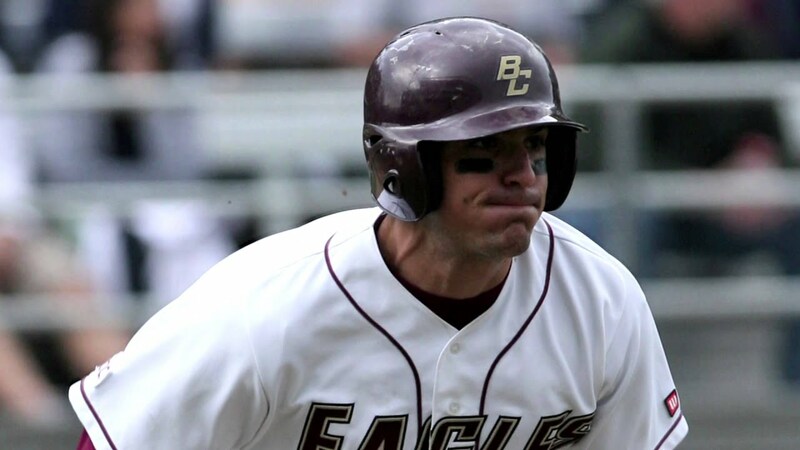 One of them, a young man who would prove to have a profound impact on his life, was a freshman outfielder on the baseball team from nearby Beverly, Massachusetts who wielded a slick bat named Pete Frates. My roommate was from Boston and he was friends with Pete, said Marshall. Pete was always in our room that freshman year and thats how we became friends. I was struggling being so far from home, but I had good friends who became like my family up there. And they helped ease my transition. Pete was a part of that family. He helped me adjust and made my experience easier. By their senior year, Frates and Marshall were roommates, along with being the respective captains of BCs basketball and baseball teams. Another friend was the captain of the schools football team, a gangly quarterback from Philadelphia named Matt Ryan. Despite playing different sports, the student-athletes had a tight bond. Ryan had also been a star basketball player in high school, and the spindly 6-foot-5 QB with the golden arm would often show up at open gym to get some full court games in. Matt could really shoot the ball, and he often joked that he could be playing on the basketball team, said Marshall. I told him that I could have been playing on the football team as well. The athletes at Boston College had a tight relationship with one another back then. We really clicked over those four years. After graduating, they went their separate ways to pursue their professional athletic dreams. Frates played pro baseball in Germany, Marshall became a star hoops player in Europe and Ryan, after being redshirted as a freshman, became the third overall pick of the Atlanta Falcons in the 2008 NFL Draft. Five years ago, the group that formed such a tight bond in college was stunned when they learned that Frates had been diagnosed with ALS. The disease affects the parts of the nervous system that control voluntary muscle movement. Motor neurons, the nerve cells that control muscle cells, are gradually lost and as it progresses, the muscles they control become weak and then nonfunctional. There is no cure and the disease is fatal. He said he realized something wasnt right one day when he was walking and his foot started dragging, said Marshall. He couldnt lift it, no matter how hard he tried. Pete approached it like a warrior early on. It was so inspiring to see that, knowing what he was dealing with, knowing that theres no cure and that everyone who is diagnosed with it passes away. He instantly went into raising awareness and trying to help others who had the disease. The story of former Boston College captain Peter Frates, who inspired the “Ice Bucket Challenge” phenomenon that has raised awareness — and over $10 million — for ALS. Less than an hour before the 25-passenger bus is scheduled to leave the Lord Baltimore en route to their evening practice on July 31st, Hailey, an assistant coach with Team Challenge ALS, Marshall and a few others rush into the hotel lobby after a cryotherapy session across town. With most of them nursing an assortment of injuries that range from minor to significant, along with a long day of travel and its inherent jet lag, those three minutes in the cryosauna, which is chilled with liquid nitrogen to over -265 degrees, helps tremendously in terms of their body’s recovery, pain management, emotional relief and overall whole body rejuvenation. As the bus eases onto Fayette Street to begin the 15-minute ride over to the gym, the mood is mellow as Marshall, who also serves as the squad’s General Manager in addition to being one of its star players, goes over a small order of business. “Before we leave the gym. we have to sign the W-9’s, tax stuff and take care of the paperwork for the prize acceptance forms,” he says. The mood becomes slightly buoyant as the players think about about being two wins away from $2 million. Marshall turns around with a mischievous smile on his playful face, focusing on Kevinn Pinkney, the 6-foot-10 forward who once helped lead the University of Nevada, Reno to the Sweet 16 back in the 2004 NCAA Tournament. Pinkney, a former D-League All-Star who once scored 15 points in his NBA debut with the Boston Celtics, now plays for the Israeli pro club Maccabi Haifa. The talk soon pivots to the supernatural, and the smiles soon fade to more sober expressions. Marshall starts talking about the ghost of a young girl who has been reportedly seen on the Lord Baltimore’s 19th floor with alarming consistency over the years. According to the hotel staff, guests often encounter her wearing a long, cream dress and black shoes while bouncing a red ball. Supposedly she can be seen screaming, crying and rocking herself back and forth. “She committed suicide on the 19th floor, and the elevator will go straight to 19 without anyone pushing a button,” says Marshall. “The lady behind the hotel desk told me, ‘Don’t worry, she ain’t gonna bother you,'” says Marshall in an attempt to ease the troubled looks on the faces that are now staring at him. The inspiring Team Challenge ALS continues their run in The Basketball Tournament, turning a small halftime lead into a second half blowout against the #2 seed A Few Good Men. Jerry Smith led the way with 23 Pts on 8-10 shooting. As the route takes them through a sketchy area of the city that was one of the battlegrounds during the Freddie Gray riots, a voice chirps in from the back that offers a detour from the worrisome paranormal talk. Greeting them as they walk into the gym is a huge cardboard check made out for $2 million. Some of the guys playfully Milly Rock in front of it before walking down the steps toward the arena floor to begin their stretching and warm-up routines. Marshall played on a Boston College alumni team in last year’s TBT called Skinner’s Freight Train. But months before this year’s tournament, his thoughts wandered toward putting together a new team with a different goal. Marshall began assembling the team with an eye toward chemistry and players with no egos whose skills could mesh without conflicting agendas. When he approached them about getting down, he was clear that this journey was about more than just playing ball to win $2 million. Marshall organized a mandatory, week-long training camp in Los Angeles prior to the tournament getting underway. General Manager/Forward Sean Marshall led all scorers with 28 points as Challenge ALS beat Wasatch Front, 97-81. If Challenge ALS wins TBT, it will donate $250,000 to Pete Frates, one of the co-founders of the “Ice Bucket Challenge,” who is battling ALS. Frates was Marshall’s roommate at Boston College. Head coach Darren Collison, the current Indiana Pacer point guard and former UCLA standout, worked the players, many of whom had played together in the super competitive Los Angeles summer Drew League, mercilessly at training camp. When the week was up, the team went to Las Vegas for their opening game, with Hailey, assistant coach Johnny Dukes and Ivan Aska, the 6-foot-7 former Ohio Valley Conference Freshman of the Year at Murray State who now plays professionally in Greece, making the three-hour drive with Marshall behind the wheel of his Audi Q7 luxury SUV. In order to bolster their sense of unselfishness and chemistry, Hailey invited his mentor, noted meditation and mindfulness thinking expert George Mumford – who owns nine NBA championship rings as an adviser to Phil Jackson’s title teams with the Chicago Bulls and Los Angeles Lakers and a man who Kobe Bryant, Michael Jordan and Shaquille O’Neal consider crucial to their professional success – to address the team prior to their opening game. Before speaking to the larger group, Mumford, who attended The University of Massachusetts with Julius Erving and Rick Pitino, pulls aside Jerry Smith for a quick chat. Pitino had brought Mumford in to work with his Louisville Cardinals players while Smith played there as a sweet-shooting 6-foot-2 guard. The essence of Mumford’s message to the larger team centered on togetherness. Despite being the underdog in every game they played, Team Challenge ALS steamrolled through their Brooklyn bracket. Team Challenge ALS is headed to Baltimore after a wire to wire victory versus Armored Athlete. Austin Daye and Casper Ware led the way for Team Challenge ALS. TBT features 64 teams of top professional, college alumni, and international basketball players competing in a single-elimination 5-on-5 tournament for a winner-take-all $2 Million prize. At a Manhattan bar after winning their quarterfinal game and advancing to the semifinals in Baltimore, where they would match up against the formidable Scarlet and Gray squad comprised of Ohio State Buckeye alums, they celebrated their win. The players from some of the other winning teams were there as well, with each engaging in trash talk about what would happen when they met up in B-more. Most people thought Team Challenge ALS had enjoyed a nice ride to get there, but the overwhelming consensus outside of their tight circle was that they’d get smashed by the Ohio State team in the semi’s. But they were on a crusade, and popular opinions had no sway on their collective consciousness. And with that laughter-inducing statement, the players adopted a new theme, carrying it to their various homes throughout the country for a few days before they’d reconvene in B-More, two wins away from $2 million. At their practice at Coppin State the night prior to their semifinal matchup – after Milly Rocking, stretching and getting some shots up to get warm – Team Challenge ALS is in a light mood, with smiles and laughter galore filling up the empty gym. ESPN college basketball game and studio analyst Fran Fraschilla, the former head coach at Manhattan College, St. John’s University and the University of New Mexico who is calling the TBT semifinals for the network, sidles up to Casper Ware, one of the top pro ballers in France, to talk about players that they’re both familiar with in the European market. Ware, the Drew League legend and wondrous diminutive guard who was a two-time honorable mention All-American and the Big West Conference Player of the Year as a senior at Long Beach State, has a tough task ahead of him in the next night’s game, where he’ll be going head-to-head with Aaron Craft in a highly anticipated point guard matchup. As practice begins, the players gather in a circle with their fists raised in the air touching one another. After lunges, high knees, stretching and shooting, they begin with full court three-man weaves. They might not be household names, but the practice gear the players wear – the genuine Louisville, Minnesota Timberwolves and Long Beach State game shorts, Washington Wizards and Los Angeles Lakers practice shirts, among others – speaks to the elite level of ball they’re capable of playing individually. The entire unit talks to one another as they work through each plays’ innumerable permutations. They proceed to go through the Scarlet and Gray squad’s plays, with particular emphasis on the inbounds and offensive sets that feed Jared Sullinger, the 6-foot-9 behemoth and current NBA free agent that was a two-time consensus All-American at Ohio State prior to playing for the Boston Celtics and Toronto Raptors. As practice wraps, the players gather at the midcourt circle again with their fists raised and touching. In arguably the best game of the tournament, Team Challenge ALS walked away with the victory over Scarlet & Gray. 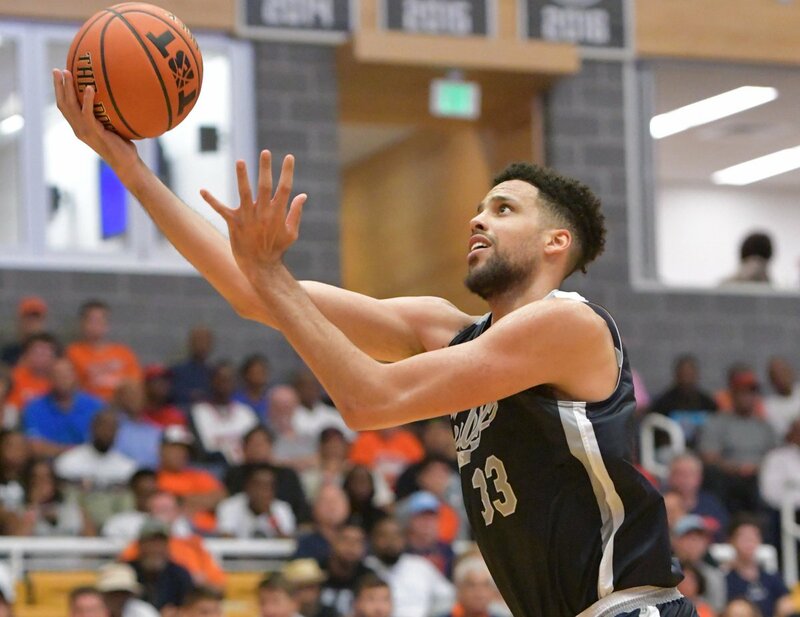 Austin Daye, Sean Marshall, and Casper Ware all scored over 20 points as Challenge ALS moves on to the Championship on Thursday. It turns out that Jerry Smith wasn’t able to pick Aaron Craft up at baggage claim at Thurgood Marshall BWI airport liked he claimed he would. But he definitely sent Casper Ware instead. 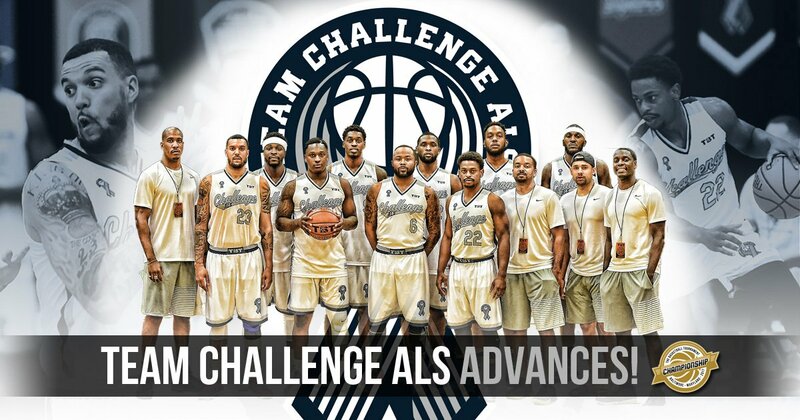 In Team Challenge ALS’s thrilling 88-83 double overtime win, the 5-foot-10 Ware, who ran the point for the Philadelphia 76ers in 2014 and is now widely considered to be among the best overseas pros, utterly dismantled the former Buckeye star. Ware scored 28 points, including two crucial buckets late in the second overtime, grabbed six rebounds and dished out four assists. But his work on the defensive end was even more impressive, limiting Craft to an inconsequential total of six points and three rebounds. The game featured 15 ties and 11 lead changes, and it was obvious that the team that would go on to win and advance to the championship game was the one who wanted it more. Austin Daye, the 15th overall pick by the Detroit Pistons in the 2009 NBA Draft who played his pro ball in Turkey last year, scored 22 points while Marshall added 21 in the thrilling victory. Sullinger scored 26 points and grabbed 10 rebounds in the losing effort for Scarlet & Gray. After the big win which propelled them into the championship, Ware wearily sat outside of the locker room. Speaking softly through a wide smile, his eyes still danced from the excitement of what many people were calling the best game in TBT history. A special friendship indeed, all of which was an outgrowth of what Marshall experienced with Pete Frates at Boston College, inspiring him to form this team with this specific goal in mind. Lingering in the corridors after the win was another key member of the journey – John Frates, Pete’s dad. He’d addressed the team behind closed doors prior to tip-off. Frates reiterated that they were not only playing for Pete and themselves, but for the entire ALS community. In the championship game against two-time defending TBT champs Overseas Elite, Team Challenge ALS was missing a crucial piece of their puzzle in 6-foot-8 high flyer and former San Diego State Aztec Deshawn Stephens. Stephens, who played last year for the Los Angeles D-Fenders in the NBA G League, injured his tailbone in the first minute of the game against the Scarlet and Gray while being bumped in mid-air as he soared for what would have been a crowd-spilling dunk. Despite being a man down against Overseas Elite, Team Challenge ALS made no excuses, going right at the defending champs, a formidable squad who hadn’t lost a game in three years. In the end, they came up short and lost 86-83. Ware had 22 points while Ivan Aska made eight of his 10 field goals and finished with 18 points in the devastating loss. Afterwards, their silence, bent knees and slumped shoulders said it all. As the coaching staff of Collison, Dukes and Hailey huddled in the hallway prior to entering the somber locker room to address their valiant squad, they searched for the right message to deliver. The well-worn clich in sports is that great teams win by playing for the name on the front of the jersey, and not the individual names on the back. That didn’t quite apply here. Because they not only played for the Team Challenge ALS name on the front, but every player on the squad had the name “Frates” on the back of their jerseys as well. They played passionately for both, and it showed. 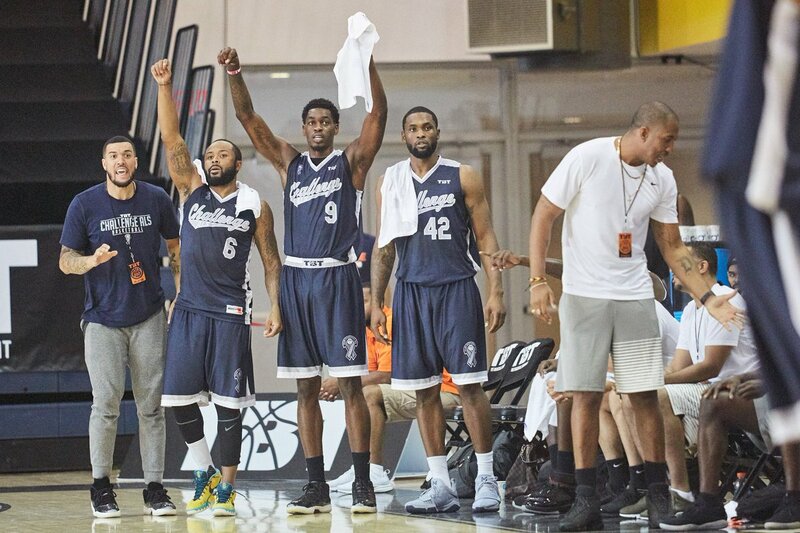 In the most memorable championship game of The Basketball Tournament yet, the heavily-favored Overseas Elite defeated this year’s Cinderella team, Team Challenge ALS, to win their third straight TBT crown and the $2 million prize. Team Challenge ALS had a shot to tie the game, but Kevinn Pinkney missed a tough three as time expired. Back in room 931 at the Lord Baltimore Hotel, Sean Marshall could care less about the ghost on the 19th floor. Laying under the covers on his back, with his head tilted to the side, salty, wet remnants remained on his face from the tears that hadn’t stopped flowing since the championship game ended. Riding the bus away from the arena, Marshall face-timed with Andrew Frates, Pete’s brother, with both of them sobbing through cracked voices. As he lay in the bed, staring at the curtains that blocked out Baltimore’s downtown skyline, Marshall couldn’t help but go over his every mistake in the $2 million championship game – a rebound he should have grabbed, a pass he should have made, a shot or crucial late-game free throw that he missed and should have converted. Hailey, his buddy going back to those freshman days at Boston College, would not allow him to wallow and remain despondent. They say that basketball, at its best and highest levels of accomplishment is about unselfishness. Marshall’s vision, his desire to help, the players he picked with no egos that were willing to fight the good fight and their improbable run to the championship game all personified that. And in doing so, they gave all of us something special in return.